Remember the tragic story of the star-crossed lovers Romeo and Juliet? Take on the part of Juliet and keep a lookout from your balcony. Will you and Romeo find love and settle the feud between Montagues and Capulets? 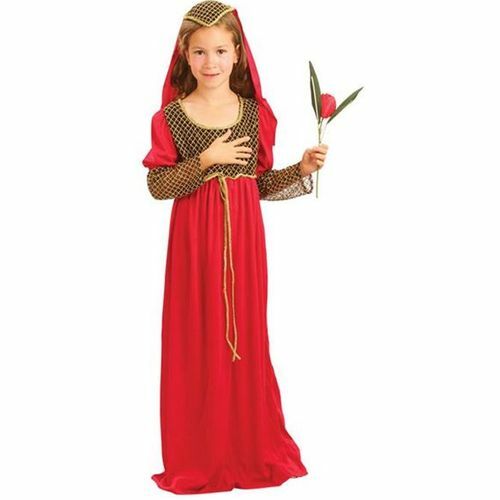 Ideal fancy dress costume for medieval weddings?banquets, school plays and book day.